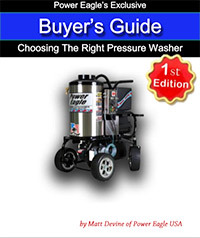 Power Eagle AC series units are the finest, most durable engine driven hot water pressure washer available at any price. Designed for heavy use applications, these machines feature ultra heavy-duty, belt-drive pumps with high volume oil crank case designs for optimal heat dissipation. Powerful Honda and Kubota engines run at low RPM to maximize longevity and minimize maintenance requirements. 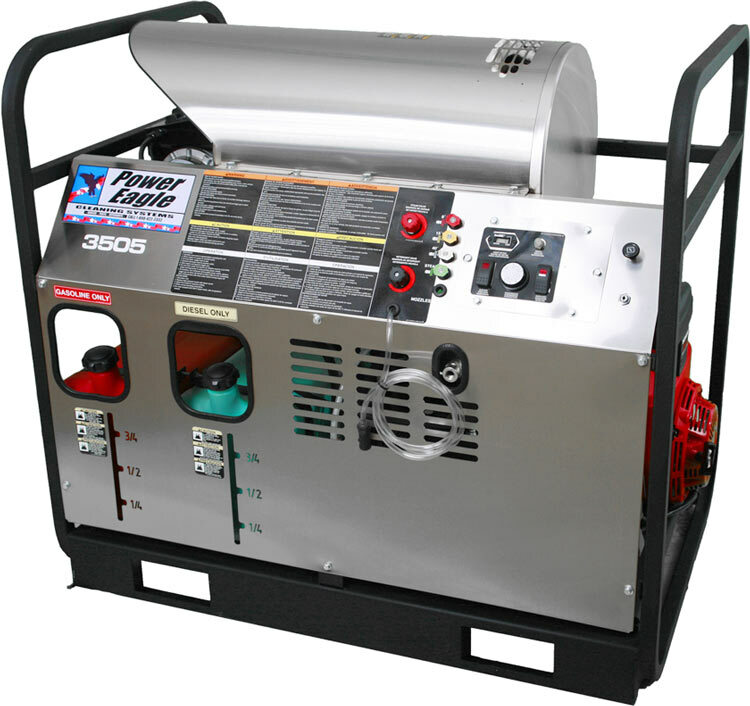 An on-board 2900 watt generator supplies reliable 120V current to the Beckett burner, plus an auxiliary duplex electrical outlet for running lights, pumps or other tools. Ultra powerful and even more durable, these units exemplify quality and performance. AC units utilize an on-board generator to run the 120V burner system.